Thoughts on Ameya's possible UTAU update tweets? Discussion in 'UTAU Discussion' started by LilyoftheValley, Dec 23, 2018. I haven't seen anyone make a thread on this yet, if there is one throw it down below. 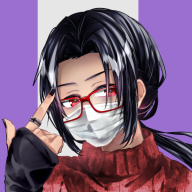 Our lord and savior has returned with tweets showing an update/translation to UTAU. It seems to be just a German translation, but it has new features? Anyone understand these tweets better? What is actually being done? Is it an actual update? Thoughts? Speculations? sangv, Pixys, flutteraliviaNL and 4 others like this. you can have subfolders inside of subfolders now so instead of having banks with (Soft-A3), (A3), and (Power-A3) you can have (Default) (Soft) and (Power) folders with the pitches inside those!! im so hyped!! you have no idea how excited i am aaaaaAAAAA?? sangv, UnclePeter, Kiyoteru and 5 others like this. I’m excited to see a possible update too! It has been literally 5 years for a last update. LilyoftheValley, UnclePeter and ChibusChubus like this. WOW! I'm glad to know he's still alive. sangv, LilyoftheValley, UnclePeter and 2 others like this. Mitt64, keiisnotthattired, LilyoftheValley and 2 others like this. Since all of the features in freeware still exist in shareware, we don't actually know for sure which version the update will be for. The screenshots feature the shareware version, yes, but it would probably be concerning if a software developer didn't have full access to every feature they were still working on. Mitt64, keiisnotthattired, UnclePeter and 1 other person like this. LilyoftheValley, UnclePeter, 幸兔雪 (Yukito Yuki) and 1 other person like this. LilyoftheValley and Kiyoteru like this. Does this mean we'll get CVC support? I'm very intrigued by this feature and I'm hoping that there's other people I can discuss this in-depth with. If you don't mind, I'll be copying some of the thoughts I've already shared elsewhere, with some edits to clarify the thoughts and make them more legible. (friend) I love that mint green for second consonant. I disagree, it should be yellow. Every parameter should have its own color. Overlap and endcons could get confused easily. (friend) maybe it's good for Chinese? Honestly though, I'm not sure how this fits into our current knowledge of OTO and reclist theory. That just takes away the biggest advantage of CVVC, which is that you're able to mix and match CVs and VCs. With this you need a complete CVC syllable, unless people appropriate it for VC otos. I'm just not sure how yet. but in envelope terms that implies something like "increase preutterance and lower STP"??? Here's my theory for the envelope. I'm curious about the danger zone, would this have to be considered as an intentional feature? I mean, it wouldn't be the overlap if it the notes didn't overlap at that point, but in this case you'd be losing some of the consonant that you're trying to preserve with endcons. 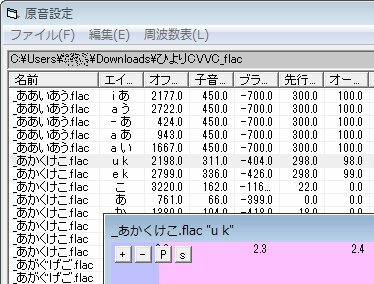 Sure, you could just use VCV, but then you'd need a separate [a が] and [a -] sample. So this particular approach to CVC samples is to maximize the context. Of course, all of this is completely pointless if the OTO limit hasn't gone up from 2^15 lines. 幸兔雪 (Yukito Yuki), keiisnotthattired, IDOL★TRASH and 6 others like this. This is quite an interesting feature to be incorporated, but I also wondered how it should be properly used. From how I understand it currently, the pink field basically tells the resamplers to not strecht/loop this part, the white part gets stretched/looped, and the new green part would then be incorporated into the note when the note is nearing its end without being stretched or looped. And as Kiyoteru has said, that would mean you'd need a complete CVC syllable to use this feature. Every recording would be kinda closed in itself, starting and ending in what the recording comes with. If it could be specified that "this is the ending [ot]" and this ending [ot] would always be played when the resampler reads it in any combination of text in the note, e.g. "rot" automatically taking [ro] and [ot] out of their recordings, that would probably be pretty neat. If however this indeed means you need to have every possible C(CC)V with every possible VC(CC) of the language, that'd be a monster of a voicebank. German has up to 15 single vowels, not counting diphthongs and counting schwa and a-schwa as their own phonems. There are around 24 consonants that can stand in the starting position of a syllable, and around 13 that stand in the coda, consonant clusters aren't even considered yet. You easily end up with at least 4000 lines or recordings, even if you scratch the a-schwa. And again, that is without consonant clusters. Adding CCV to that, the number of recording at least doubles. This still excludes ending clusters, though I'd put those together out of [VC]+[CC] either way. Having 8000 to 10.000 recordings for one pitch is quite overwhelming and I wouldn't be a fan of it. My numbers can of course be totally wrong, I'm never sure with the logic I apply to maths. I'd love to hear more about this feature and how it works in detail, so that the community can start to figure out how it can be applied or how we have to change our thinking to cleverly use it. 幸兔雪 (Yukito Yuki), keiisnotthattired, UnclePeter and 5 others like this. A correct use for that would be VCCV functionality for CVVC voicebanks. UnclePeter and Soursop the fruit like this. I'm curious what's the "Endkonsonant" button for though, i hope Ameya will tell us about it. sangv, keiisnotthattired and Pokefan2012 like this. Sorry this ended up so long, I just wanted to give some of my own insight and speculation into the CVC otoing options Ameya's working on as I've always wanted VC otoing and it being CVC makes it all the more interesting. Basically, the tl;dr is that I think it's very cool, but, perhaps, a bit gimmicky and I see more uses for it in the context of VC sounds than CVC sounds. I feel like how useful the CVC otoing will be is going to depend on your intention. 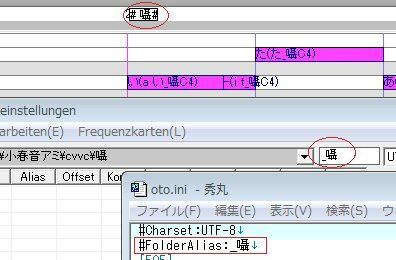 For example, if you've created a 2-mora CVVC VB ('がが' 'けけ' etc.) you could probably use the recordings to make ending CVs ('が -' 'け -' etc.) and omit the typical end breaths like 'a -' without having to do anything too crazy with your otoing (this would also work with CV now that I think about it) since you could still easily blend 'け' 'e g' 'が -' together. On the other hand, if you've created a VCV or higher mora CVVC bank, creating ending consonants like this would be highly inefficient because you'd have to record so many extra sounds (although, you could probably make it work if you wanted to add 'v c' otos to your VCV bank, alternatively 2-mora VCV would work if you really want) so you're probably better off just sticking with the standard 'a -' ending breaths instead. That said, being able to give the ending breaths a proper VC oto may help prevent breaths getting stretched or distorted in UTAU, so it will still be useful. which I'm actually pretty excited to think about and could provide some quality results, but this is, of course, all speculation, and only time and testing can say where this'll lead. Regarding languages such as Spanish and Korean, however, I think CVC otos could be pretty revolutionary (being able to oto sounds like 'geul' for example) because they are, to my understanding, a lot less taxing than languages like English or German regarding potential CVC sounds. Of course, this could still run the risk of being inefficient, but singling out the most common CVC sounds and still combining CV with VC for the remaining sounds could result in a pretty nifty voicebank (you could probably make this argument for languages like English or German too, but I could still see that being immensely taxing in comparison). I already see people adding things like numbers to their VBs, and I think creating a reclist of the most common words used in songs to go alongside your standard reclist (whatever your preference) could be a really neat use for CVC otoing and speed up the editing process (inb4 someone records a whole dictionary for the meme value). Of course we'll have to wait to see how well something like this actually works in practice. sangv, keiisnotthattired, IDOL★TRASH and 4 others like this. That's a pretty good idea. Would anyone actually be interested in having a list of commonly used single-syllable words that they can pick and choose from to record if the CVC feature was released? Because if so, I might attempt to compile a list like that myself somehow, by maybe going through the lyrics from some songs in the Billboard top 100 from 2000 to 2018. Kind of sounds a bit daunting, but I guess it'd be worth a try, since I can't really find many good lists of frequently used words in songs out there at the moment. Soursop the fruit and Kiyoteru like this. Kiyoteru and sangv like this. MillyAqualine and sangv like this.